VOLLEYBALL Ending the season with a record of 13-11, consistency was one of the team’s downfalls. Despite its 2-8 league record, Diamond Bar High School’s varsity girls volleyball team received an at-large bid for the playoffs. However, it lost its first CIF game against Los Altos 3-1, ending its season with an overall record of 13-11. Even though Los Altos wasn’t necessarily the better of the two teams, head coach Katie Swetnam cited its steady consistency as the reason why the Brahmas lost. During long rallies, the Brahmas often lost because of their problem with endurance and receiving. “We’re really quick and we’re really fast and [in] the short plays, we’re one of the fastest teams, but for those long rallies, our endurance definitely can be improved,” Swetnam said. In the match, Swetnam pointed out three seniors who played particularly well. Right side hitter Gabby Cortez made 12 kills, outside hitter Karen Bustillo made 18 kills and Cammie Ahn had an outstanding performance as a step in libero. The Lady Brahmas lost their past few games 3-1 and 3-0 against Bonita, Ayala and Glendora and both their games against Claremont 3-0. In their entire league season, they won two games, 3-2 and 3-1, both times against South Hills. Swetnam pinpointed Claremont, the leading school in the league standings, as the team’s biggest competitor. 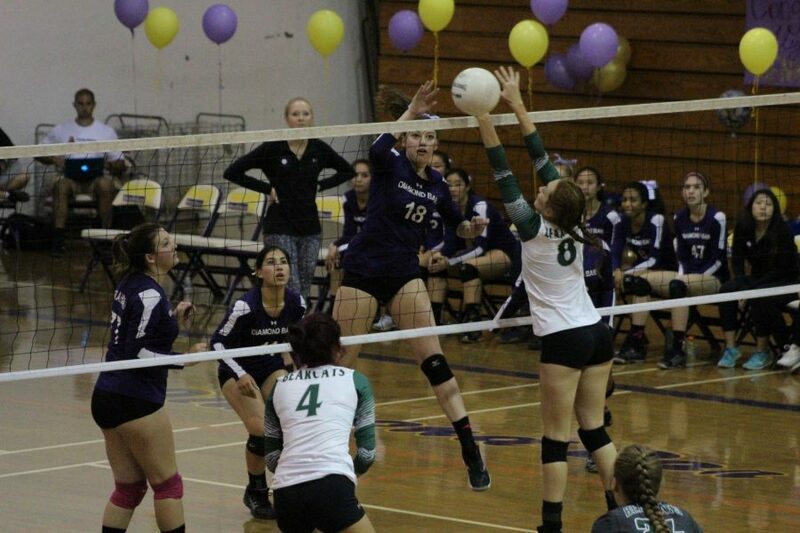 Claremont’s players tower over the Brahmas and, several of their players have received full-ride scholarships because of their talent in volleyball. “When you go out and play a team stacked like that, it’s hard,” Swetnam said. Senior team captains Camie Ahn, Alyssa Bloomfield, Taylor Williams and Harman Dhillon led the team into the season this year. Some of the outstanding players of the season include sophomore setter Lauren Chang, junior middle blocker Ana Figueroa and senior outside hitter Karen Bustillo. In particular, Bustillo stood out with her hitting average of .420.